This permission allows the portal properties to be configured and portals to be imported or exported via the Portal menu / Export portal or Import portal respectively. Permissions holders are allowed to administrate the portal pages in the default mode. 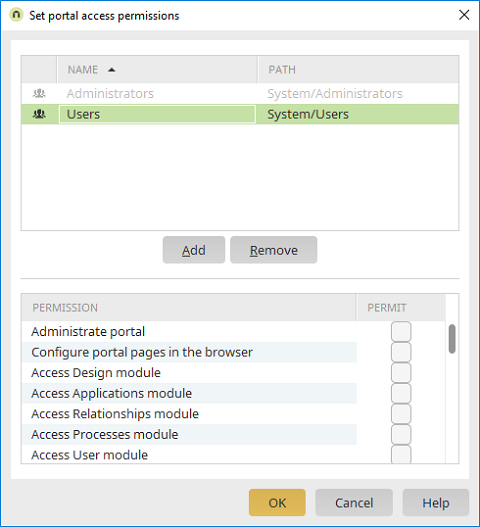 Permissions holders have access to the corresponding module in the Portal Manager. Users with this permission may publish Velocity and Groovy scripts to the server.